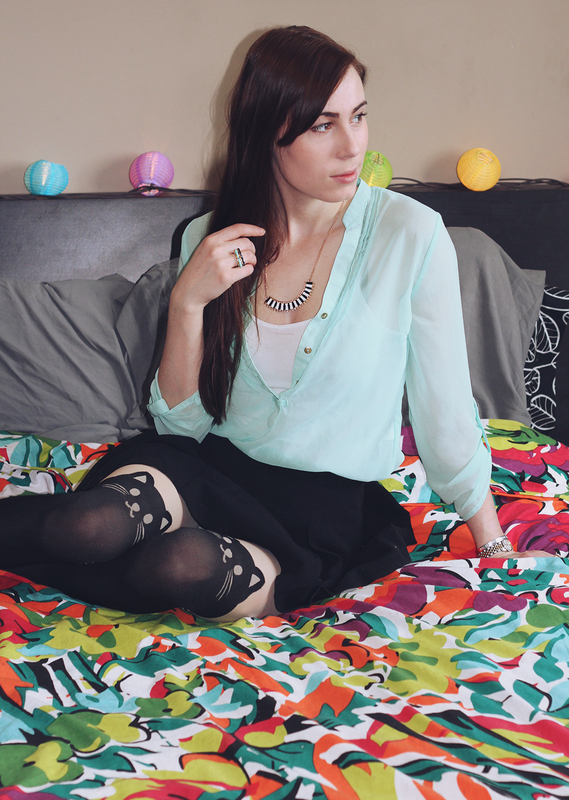 This Analog Adventure: Outfit Post: Kittens everywhere! What do you think of these tights? Would you wear them, or do you prefer to hide your crazy-cat-lady status? Aww the tights are adorable! :D I'd wear them, but I'm not sure any of my skirts are short enough to show them off. Also, your cat is so cute! Your cat's face on your photos is priceless! I really love that necklace. And extra points for bringing the kitty into the mix! Haha! 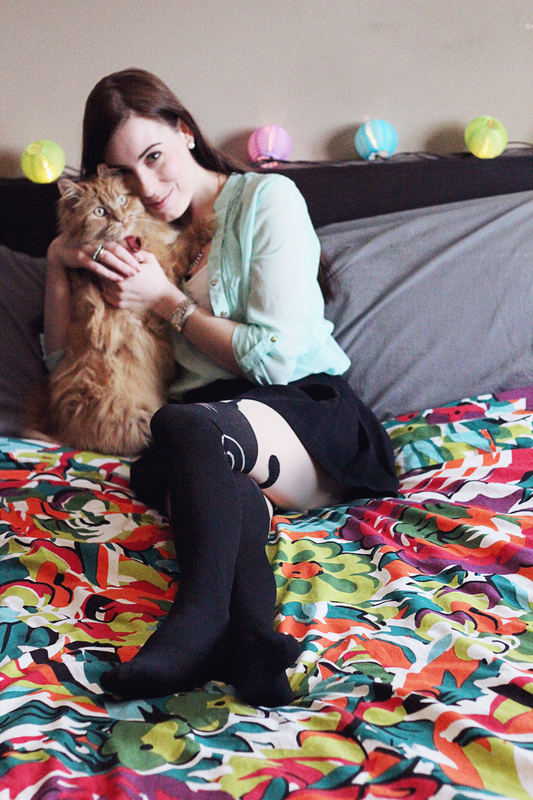 I'm personally a dog person but these tights are super cute! Cute! Love your blouse too. Haha I had no idea what to do, I have nowhere in my house photo-graph worthy! Oh well. You could probably make a cat shirt fairly easily yourself with some fabric paint couldn't you? You're creative, I bet you could! haha thanks, she's very expressive! 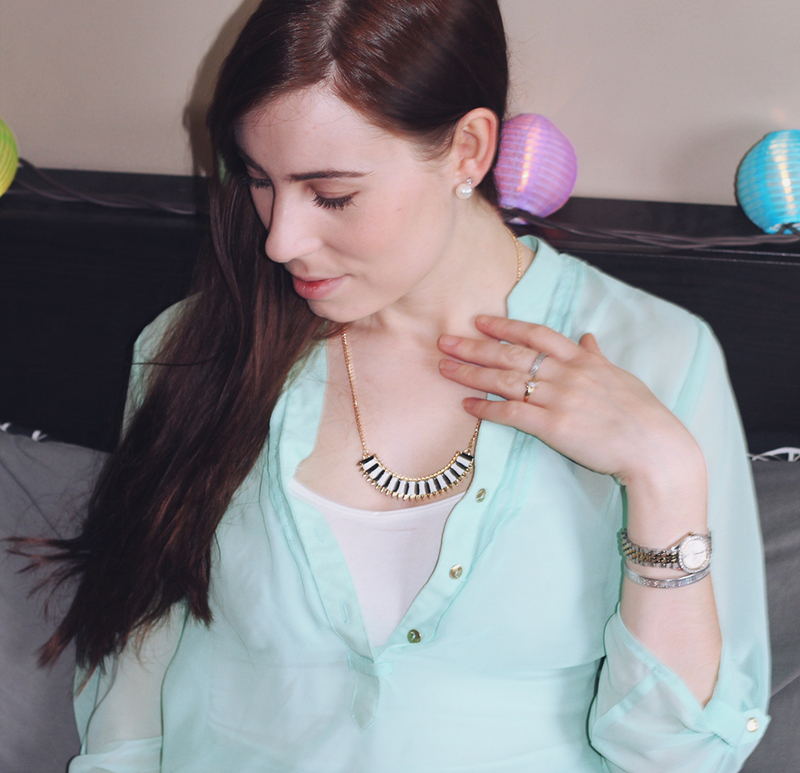 I am in LOVE with your blog! 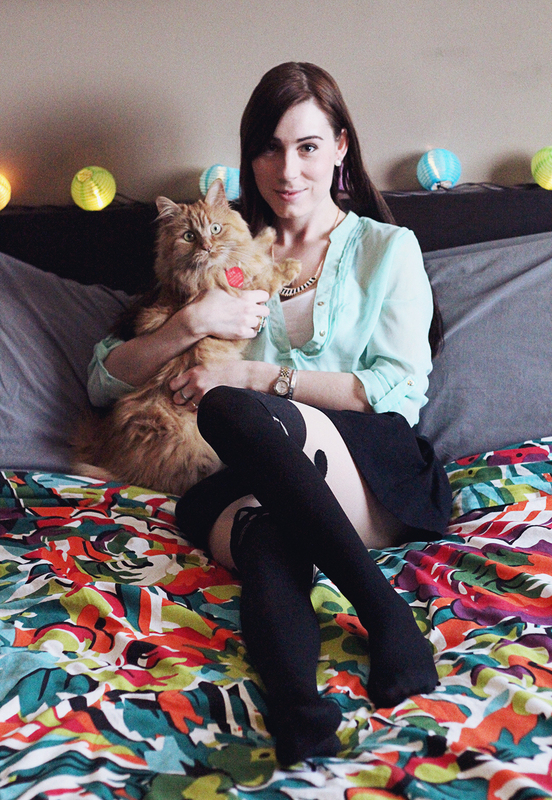 You have such lovely taste and your kitten tights and actual kitten are so precious! 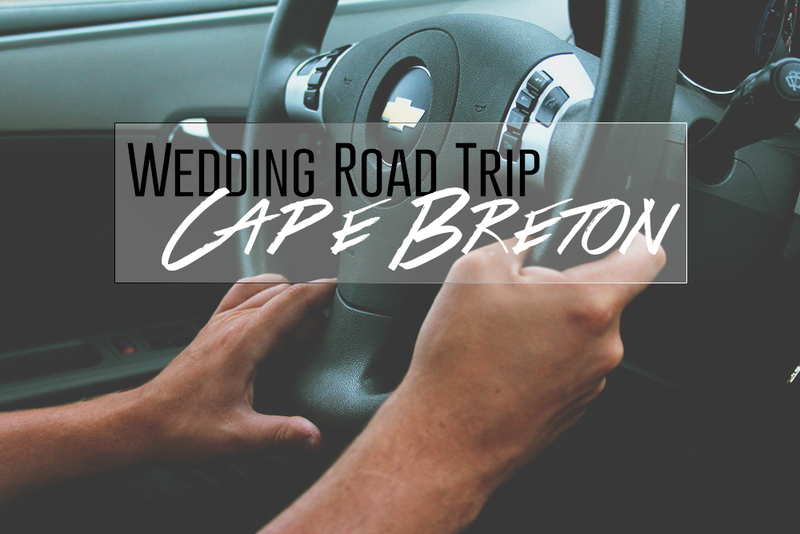 So happy that I found your blog--you are gorgeous! Hope you're having an amazing day, Jess!! I've never seen any tights like this before - they're so unique! Crazy cat lady status is so acceptable. Aaaaawh those thights are so cute and so is your kitty! What a beauty! Those tights are fantastic! I love wearing cool tights under skirts, and just wearing skirts in general, they are so much fun! those tights really are incredible! I'd wear my crazy cat lady status with pride if I had more cat themed clothing items. Haha, oh good. So people might not even know I'm crazy!? Haha I see more and more cat-themed things lately. The other day I saw an adorable cat purse at Spring. I resisted but it was really hard! The tights are great! I love how terrified your cat looks, too. Too cute!